Exponential change, exponential technologies, exponential this and that….the latest buzz words to hit the world of business. So is it just hype? 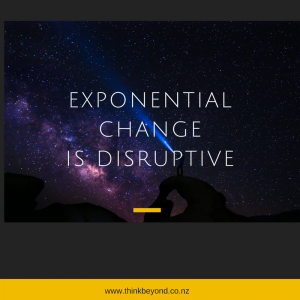 Having spent three days at the SingularityU New Zealand Summit recently I think exponential thinking is increasingly important. The rapid pace of technological change isn’t just about acceleration. It’s also about convergence and recombining, which has the effect of amplifying change. It’s disruptive.